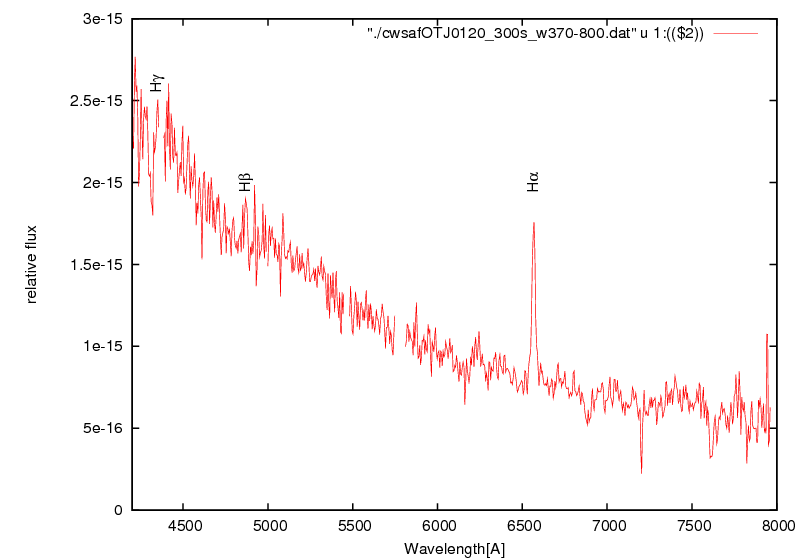 We obtained a spectum of OT J012059.6+32554 on Dec.29. 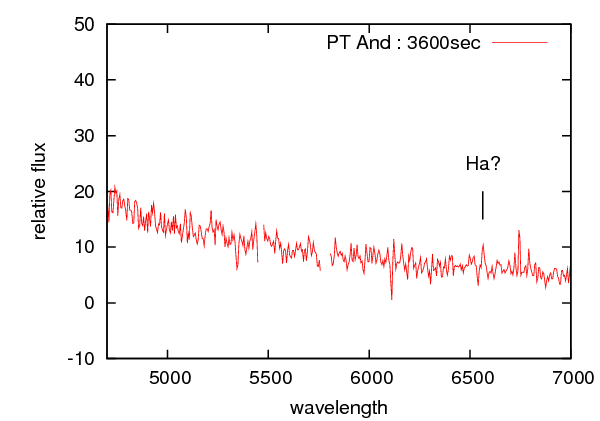 The spectrum shows the strong H-alpha emission. 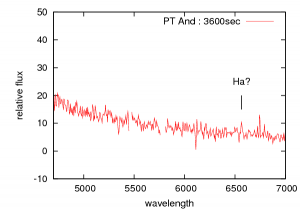 On the other hand, we detected that the H-beta line shows an emission feature and the H-gamma shows an absorption feature. These features imply that the accretion disk is still hot. 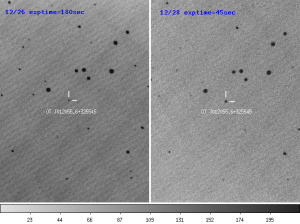 We detected a rebrightening of OT J012059.6+325545 tonighit (Dec. 28.535UT). 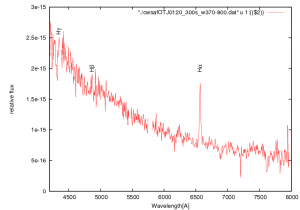 In g'-band, the brighteness of the object is about 1.8 mag brighter than that on 2010 Dec. 26. The figure shows our images observed on Dec.26 and Dec.28. according to the report by vsnet-alert on 2010 Deceber 10.
as observed in ordinary classical or recurrent novae in its early decline phase. appear to be a dwarf nova ( [vsnet-alert 12484] , [vsnet-alert 12527]).